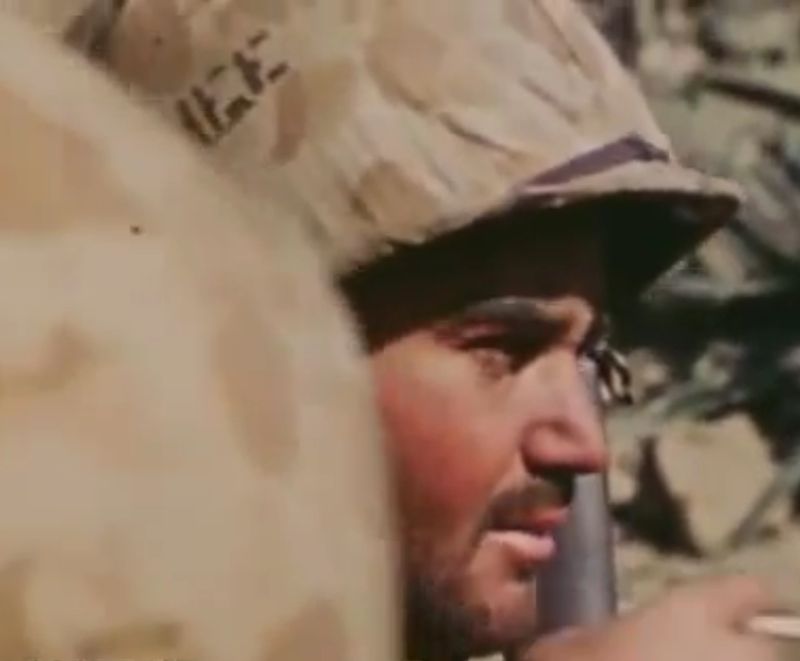 There are several indicators that the soldier in this video is, in all likelihood, Sergeant Joseph C. McGehee. 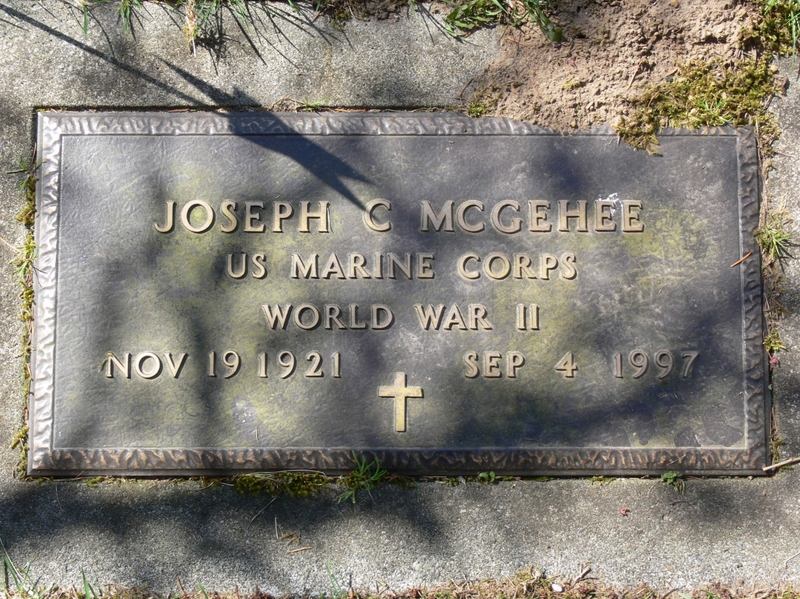 1) The source footage is of Marines on Iwo Jima AND Joseph C. McGehee served on Iwo Jima. 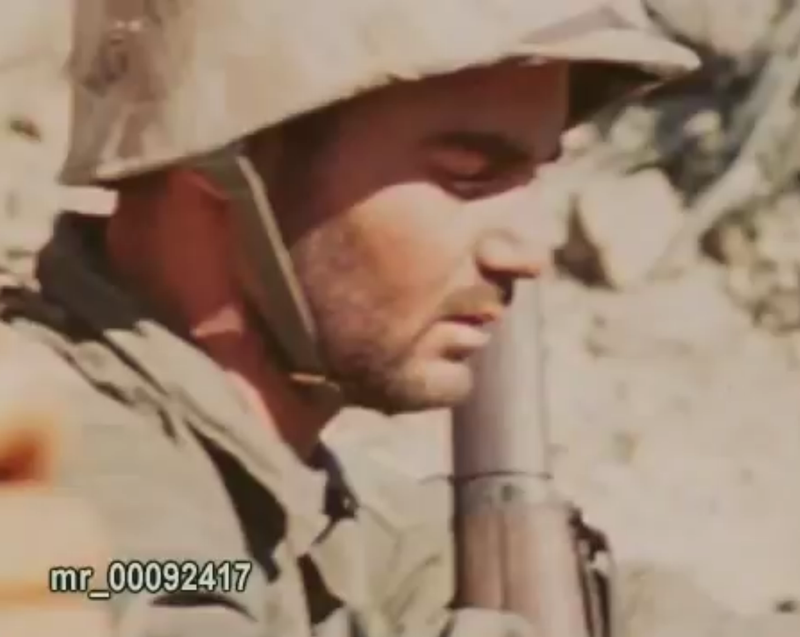 2) The writing on the soldier’s helmet is clearly “MC GEHEE” , AND, according to the January 1945 Muster Rolls (0916 and 0794), there was only one soldier in all of the 3rd, 4th and 5th Marine Divisions on Iwo Jima with a last name of McGehee – Joseph C. McGehee of the 1st Battalion, 28th Marines (Regiment), 5th Marine Division. See next screenshot for more details. According to page 208 of The Spearhead, Joseph C. McGehee was wounded in action (WIA). 1) The Spearhead – The World War II History of the 5th Marine Division. 2) National Archives January 1945 Muster Rolls (0916 & 0794). This is a screenshot from a portion of the previous footage.